Nils Straatmann aka Bleu Broode ist bei der Feels Like Home Tour #8 mit an Board! Wir freuen uns, Euch einen Vollblut-Entertainer auf der Feels Like Home Tour #8 vorstellen zu können. Neben den drei Musikern wird uns Nils Straatmann aus Bremen Teile aus seinem noch nicht erschienenen Buch vorlesen. Seit 2008 tritt er als Bleu Broode auf Poetry Slam Bühnen auf, gewinnt im ersten Jahr die deutschsprachigen U20 Poetry Slam Meisterschaften in Zürich. 2010 wurde er Sachsen- und Hessenmeister im Poetry Slam. 2011 war er Artist in Residence für das deutsch-französische Jugendwerk in Berlin, Straßburg und Reims und gründete die bilinguale Slamgruppe LinkOFonic. 2013 gewann er mit seinem Team „Bottermelk Fresh“ die deutschsprachigen Meisterschaften. Im März diesen Jahres erscheint sein Reisebuch „Wo die Kartoffeln auf Bäumen wachsen“ bei MALIK. Aber nicht nur das. 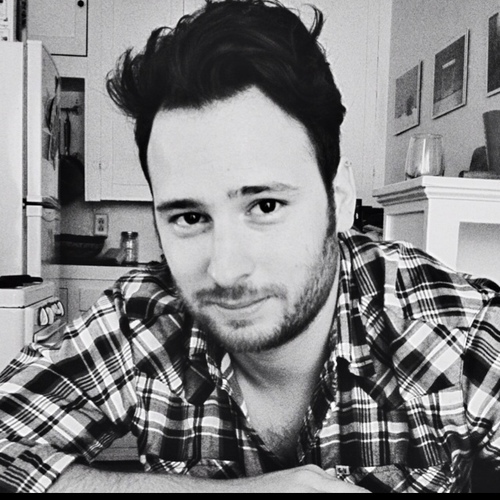 Nils ist Coach des Poesie-Ensembles Allen Earnstyzz und Mitglied der deutschen Fußball Autoren-Nationalmannschaft (Autonama). Er schrieb Artikel für die taz, GALA Men, Süddeutsche Zeitung und 3Sat. Texte von ihm erschienen in Anthologien bei Carlsen, Suhrkamp und im Blaulicht Verlag, und wurden unter anderem im NDR, BR, auf ZDFkultur und ARTE ausgestrahlt. Sein Buch erscheint erst Ende März, mit ein bisschen Glück kann man es bei uns auf der Tour schon erwerben. Tickets für die Feels Like Home Tour #8 in Hamburg, Berlin, Köln und München gibt es hier. Feels Like Home # 8 im März 2015! Wir freuen uns, Euch die Feels Like Home Tour #8 in 2015 ankündigen zu können. Unsere nächste Tour wird im März 2015 stattfinden. 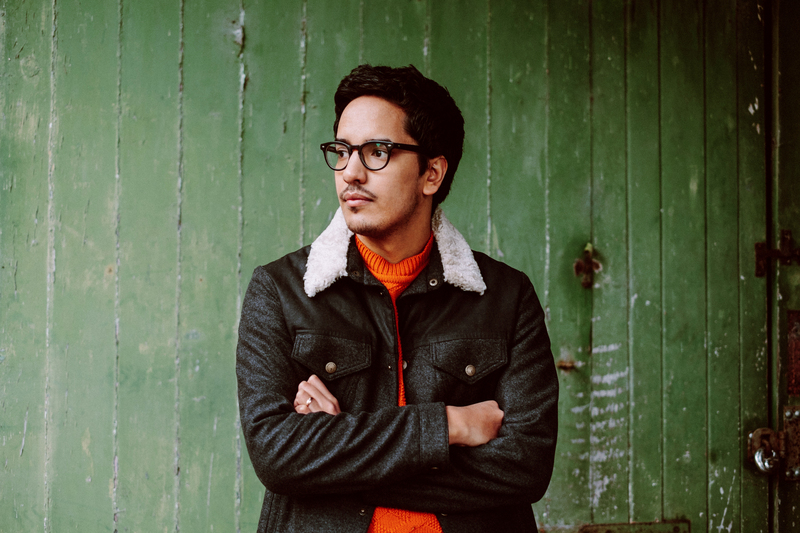 Bestätigt sind inzwischen auch Special Guest Luke Sital-Singh und Autor Nils Straatmann aka Bleu Broode. 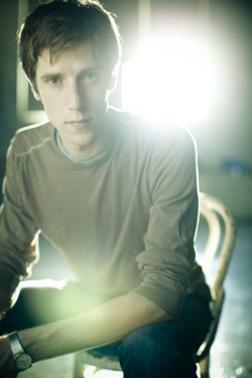 Seit 2008 tritt er als Bleu Broode auf Poetry Slam Bühnen auf, jetzt hat Nils Straatmann eine Reisedokumentation geschrieben, aus der er Teile bei Feels Like Home vorstellen wird. Die Erlöse der achten Feels Like Home Tour gehen an die Initiative “Singende Krankenhäuser e.V.” Das internationale Netzwerk fördert das Singen in Gesundheitseinrichtungen. Vision ist ein Gesundheitswesen, in dem den Menschen die heilsame Kraft des Singens erlebbar gemacht wird. Die Initiative engagiert sich für Singangebote in Krankenhäusern, Psychiatrien, Altersheimen und Hospizen. Kliniken und Einrichtungen mit Singgruppen werden von dem Verein als Singende Krankenhäuser zertifiziert. It’s Christmas. Time for presents! 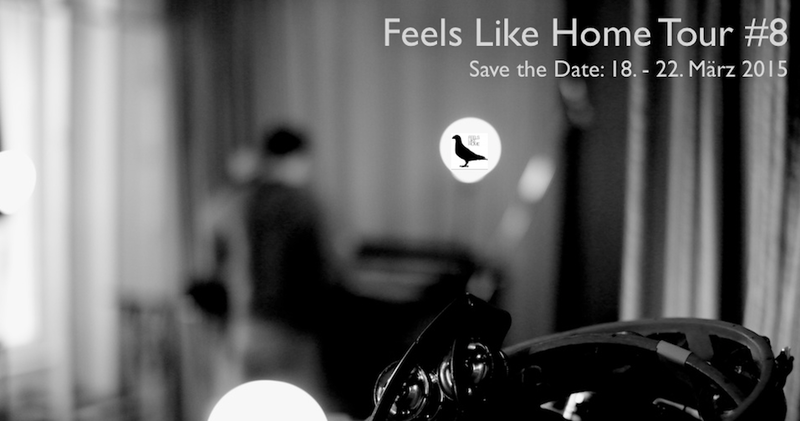 We proudly announce: The Feels Like Home Tour #8 coming soon in 2015! Our next tour will take part in March 2015. The tickets will be on sale soon. Save the date now! 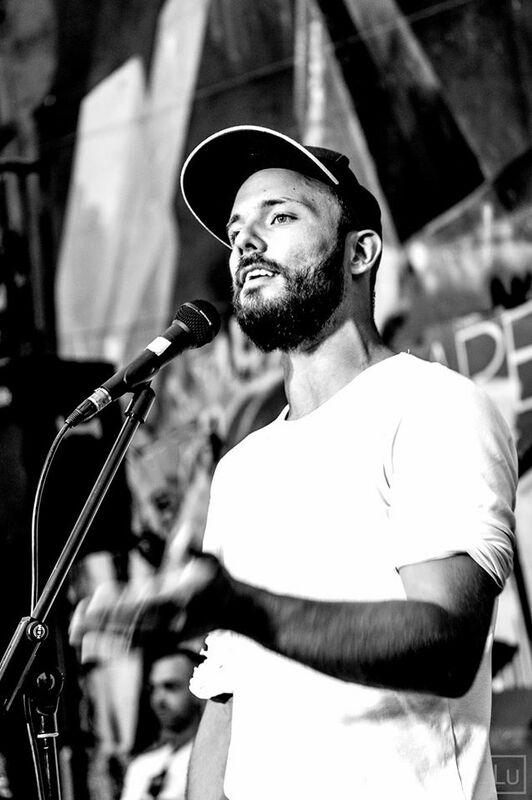 Last but not least author Nils Straatmann, also known as peotry slammer Bleu Broode will join the tour and read from his first book about traveling to Africa. The proceeds of the Feels Like Home Tour #8 will go to the initiative “Singende Krankenhäuser e.V.” The international network supports singing in healthcare facilities. 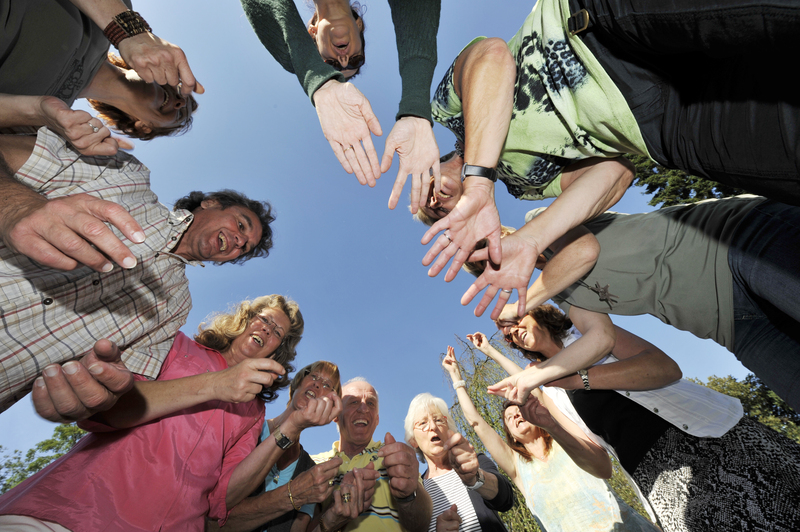 Their vision is a health care in which singing is acknowledged as a healing force. The initiative develops opportunities to sing in hospitals, psychiatries, retirement homes and hospice care. Hospitals and institutions with a programme they certify as „Singende Krankenhäuser“. Feels Like Home Compilation Vol. 1 now available on iTunes and Amazon! After so many people asked for a digital version we decided to bring it out on Amazon and iTunes as well. 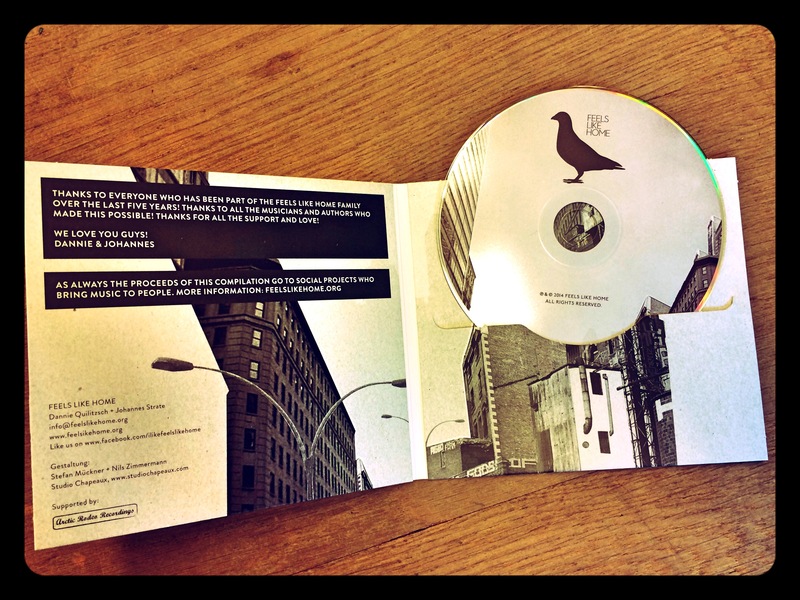 Still you can get the paperbooklet – CD – version at our Tour and also soon on Amazon. First of all we want cordially thank all our artists for donating a song! Additionally Fred and Frank from Arctic Rodeo Recordings to set up the compilation, Hans for mastering, Stefan for the great artwork, Christian Maas from Cargo for distributing and everyone else who supported us to make it work. The proceeds will go to our social projects. Here you can see who joined Feels Like Home on tour so far and which projects the proceeds went to in the past. We are still filled with love and gratefulness thinking back to not only this night but also the last five years. All these beautiful artists, all these wonderful moments we could share with an audience that is as grateful as we are to present those artists. Here is our video from the 5 Years Anniversary Night. Thanks to Patrick Wulf for his work, being our friend and definitely one of the Feels Like Home Family members for a life time. It is a little dream come true. So many times we spoke about it… Finally looking back on five wonderful and magic years with so many amazing artists we knew time had come. 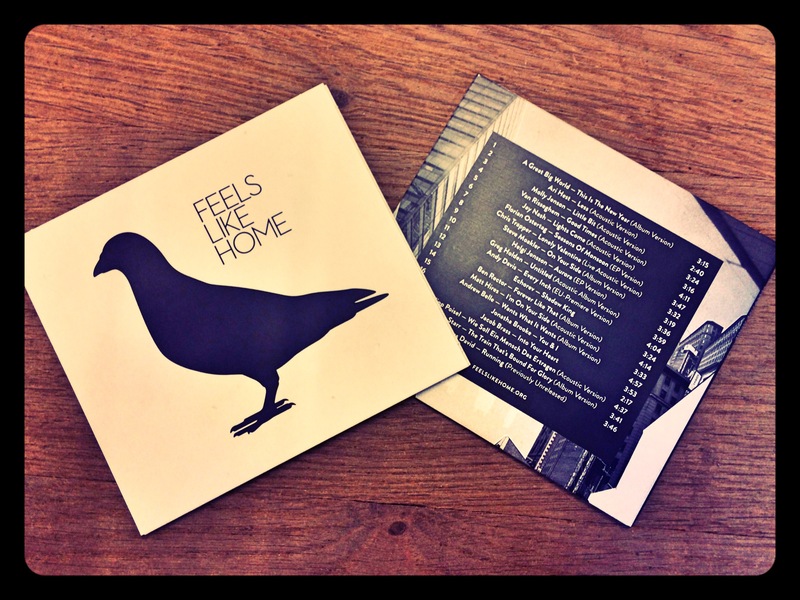 And now we are holding in our hands our first Feels Like Home Compilation. Unbelievable. First of all we want cordially thank all our artists for donating a song! Additionally Fred and Frank from Arctic Rodeo Recordings to set up the compilation, Hans for mastering, Stefan for the great artwork and everyone else who supported us to make it work. The Compilation will be available first time on our Feels Like Home 5 Years Anniversary Night on 25th of June in Hamburg. We will also sell it on our upcoming tour in fall. In July we will have our digital realease, so it will also be available on iTunes and other portals. We will let you know about exact dates and platforms here. So stay tuned! The proceeds will go to our social projects. This year it is Musiker ohne Grenzen. Here you can see who joined Feels Like Home on tour so far.